If you hear a banging or thumping in the water lines, it's water hammer—and it's annoying. Here's an easy for any homeowner to remedy the issue. That’s when a cushion of shock-absorbing air—which is supposed to reside in vertical air chambers of your plumbing system—becomes depleted. That causes water racing through the pipes to slam against fixtures when they’re shut off. There’s your noise. 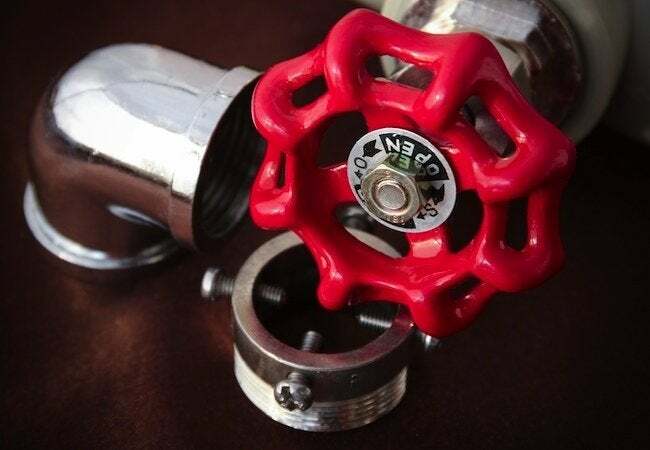 Try this: First, close the main valve that supplies the house. Next, open the faucet that’s highest in the house. Do the same for the faucet that’s lowest. Be sure to flush all the toilets. As water drains from the pipes, in goes the air. As soon as water stops draining from that lowest faucet, shut it off, then reopen the main valve. That forces air out of the system, except for where you want it: in those shock-absorbing air chambers.